In spite of the time of year this is not a post about resolutions. I think the other 3Rs that this blog is based on ­- Writing, Reading and Reflecting are quite sufficient. However, I do want to share with you some of my ongoing plans and intentions for the blog and my writing in general during 2018. The manuscript of my new novel Settlement is almost ready to go off to the editor and is planned for release in the first half of the year. Settlement is the sequel to Displacement and, as I’ve never written a sequel before, I’ve enjoyed the challenge. It’s been quite a balancing act judging just how much of the back story to include from the original book. I don’t want the new book to seem repetitive to those who’ve read the first one, but neither do I want it to be necessary to have read the first one in order to enjoy the second. And, as far as writing about my writing here on the blog goes, I plan to continue doing occasional posts on the process of writing, on my works-in-progress, and on my wider writing life. I certainly intend to keep reading throughout 2018. I believe it’s vital for writers to be readers too, but even if I gave up writing tomorrow – can’t imagine that happening – I’ll still be reading on my deathbed. I will also continue to post reviews of books I’ve particularly enjoyed as, apart from wanting to share the love of good books, I also like to do my bit to help my writing colleagues get their work in front of readers. And I find that putting together a review – figuring out what worked in a book and why – helps me improve my own writing skills. And finally, I also intend to continue to do the occasional reflective post on topics I find myself thinking about and want to explore with readers of the blog. These topics may or may not be directly related to books – but will of course involve writing. I also plan in 2018 to do a bit of a content/function audit of this blog and of my two author websites. As part of that I’d like to seek your much valued and appreciated opinions on various writing/blog related things. Question: I’d be interested to know your opinion on author newsletters. Do you sign up to them and if you do, do you read them? Are you prompted to buy an author’s latest book when you read about it in their newsletter or to respond to offers – such as free short story? And finally I’d like to wish all readers a happy and healthy 2018. I do occasionally sign up for newsletters but I wouldn’t be influenced to buy a book either by the letter or an offer. If I’ve signed up then they are authors I would already be intending to read. Thank you for taking the time to comment. That’s useful to know. I do sign up to author newsletters Anne but I tend only to skim over them. I sign up more to support the author! They don’t influence my book buying decisions at all. Thanks for taking time to reply Linda. A helpful response. I have signed up to a few author newsletters but as mentioned above, usually fro authors who I already enjoy. It’s good to hear their news especially about forthcoming novels. Thanks for that, Joanne – just trying to gauge if newsletters are worth the effort. I do sign up for newsletters of authors I know and admire. I myself have not started one and question if it is worth it. 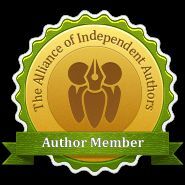 I’ve signed up for some author newsletters, normally authors I “know” on social media. I do read them and they sometimes serve as a reminder that I wanted to buy something. I also like to get a bit of background and newsletters can be good for that.